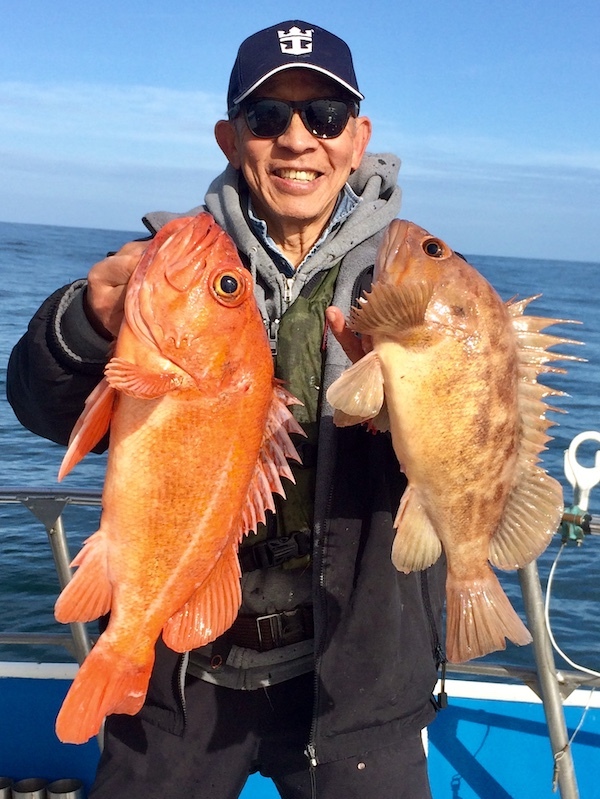 Ken Yuen from San Jose with a 4lb Vermillion and 3lb Brown rockcod caught on a bar. 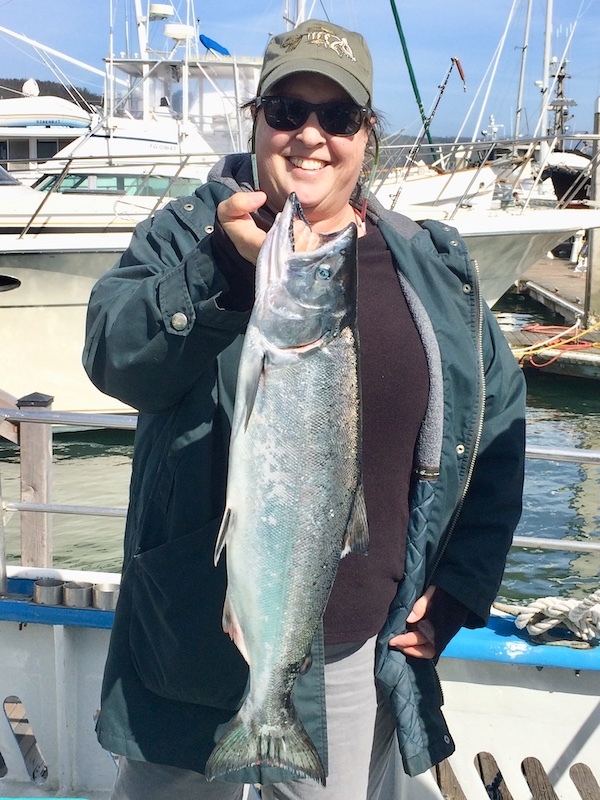 Huli Cat out of Half Moon Bay went on a rockcod and crab combo off of deep reef. Ocean conditions were lightly breezy with some small rolling swell. 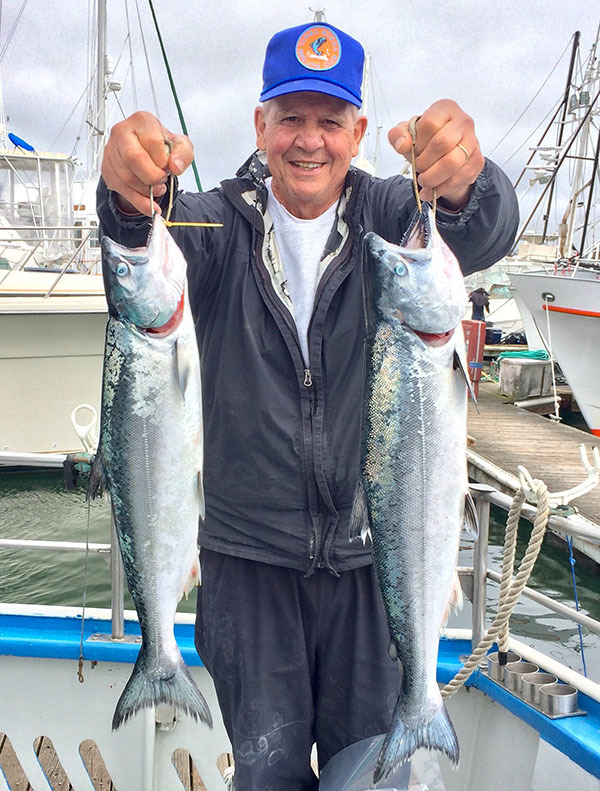 8 limits of rock and crab for 8 anglers were taken for the day. 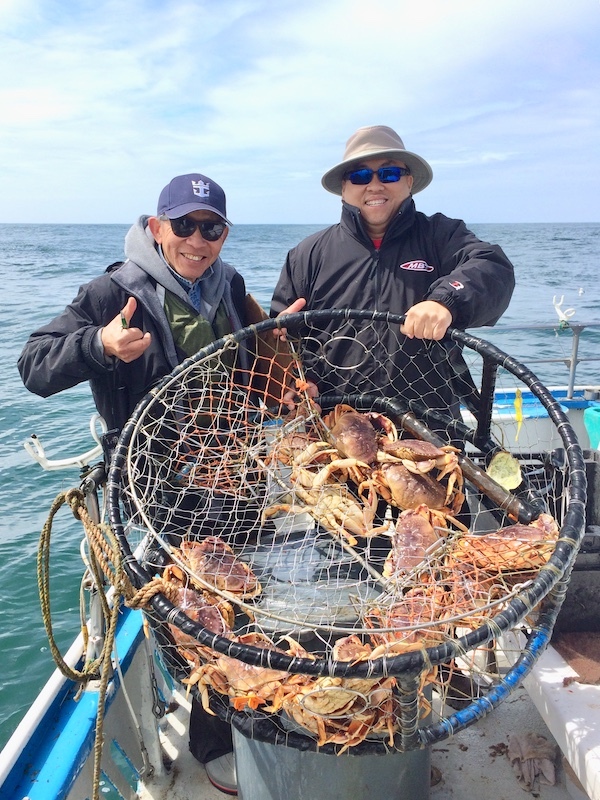 Wei Fah Loo and Ken Yuen holding up a pot with 16 Dungeness crab. 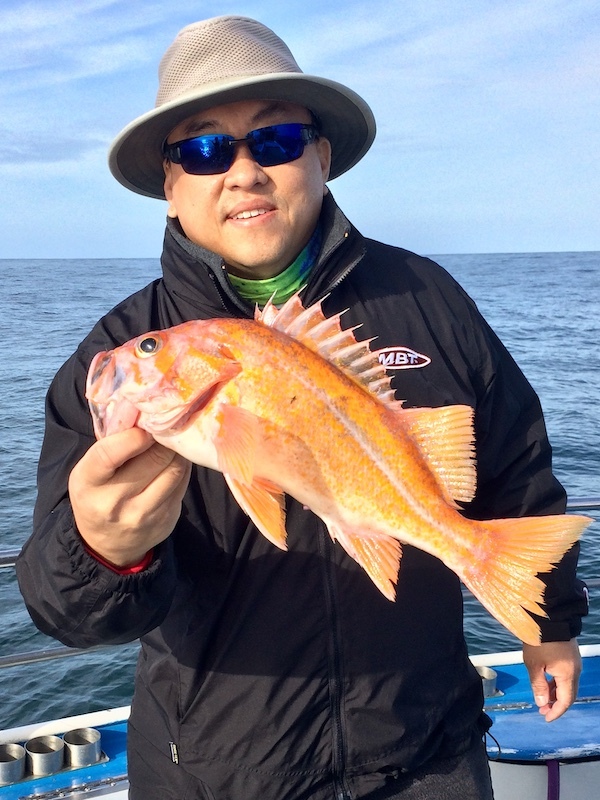 Wei Fah Loo from Sunnyvale with a 2lb canary caught on shrimp flys.